Online tee times are not availabile for Ponte de Lima. 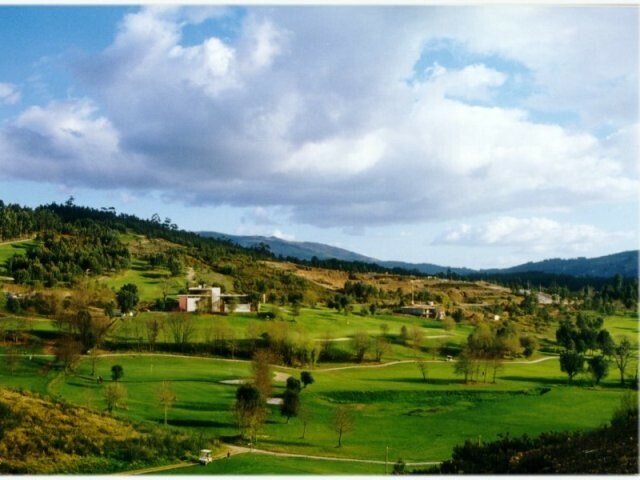 Ponte da Lima is a 18 hole course located to the north of the town of Viana do Castelo. As the course is situated slightly inland it reduces the effect of the strong winds that blow from the sea. Players may find the course somewhat challenging but providing at the same time providing lots of pleasure. The Ponte da Lima Course is designed in two circuits of nine holes which allows the player the opportunity to choose between two different ways of playing a hole. Ideally, the Club House lies between the two circuits for refreshments. To post a review, score or a notice on Ponte de Lima page's or to connect with other Ponte de Lima golfers, please log in to your account or sign up using Google or Facebook.